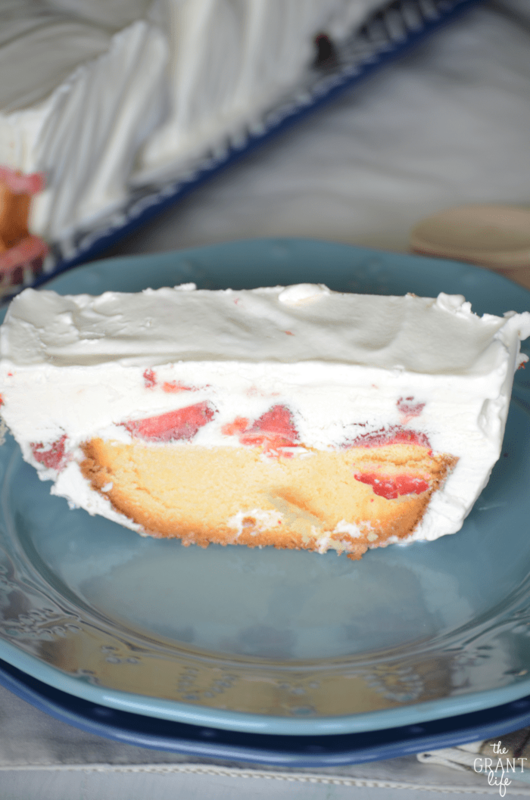 This no-bake frozen strawberry shortcake may be the easiest dessert you make this year. This past Saturday Ryon and I celebrated our 6th anniversary. Every year I think “Wow, we’ve really been together this long? ?” And not in a mean way, but in a holy cow time is moving fast, kind of way. I vividly remember being introduced as Mr. and Mrs. Grant at our reception and just taking it all in. I knew the wedding would go fast, but no one told me it would go by in warp speed. I didn’t want that night to end. But the night did end and life moved on. We very quickly became pregnant with Ryley. We moved out of our apartment and in with Ryon’s parents because he was going to be deployed. (He didn’t end up deploying.) After Ryley was born we moved back to Texas and in with my parents until we found a place. We moved two more times. I started and quit a full time job to become a full time mom after Avery was born. We have had 3 different cars. I’ve started this blog and got my real estate license. And that’s just the major stuff. If you had told me 6 years ago that any of that would have happened, I’m not sure that I would have believed it. Lived in Michigan, moved back to Texas, had two beautiful babies, started my own business? That’s madness. But man, am I sure glad they did. We both miss Michigan like crazy. We are heading up there for vacay this week and we are all so excited. Ryon’s mom has already requested that I make “some of the delicious things” from your blog. One of things I’ll probably most likely will totally make? 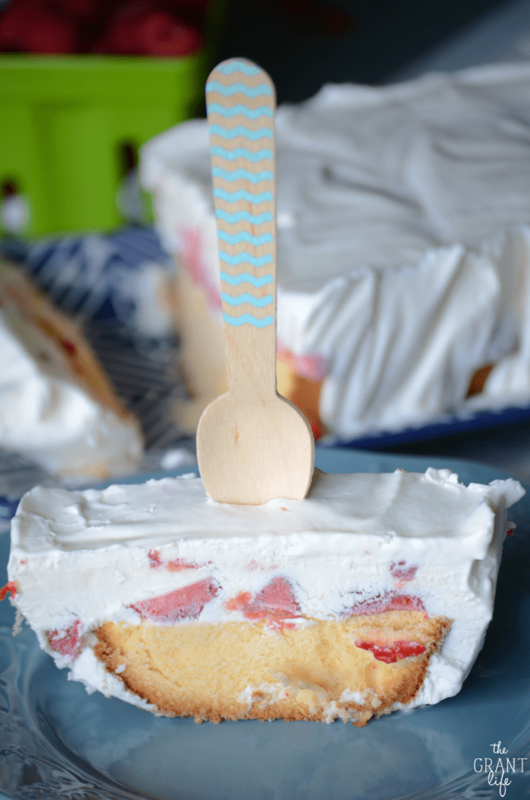 This no-bake frozen strawberry shortcake. 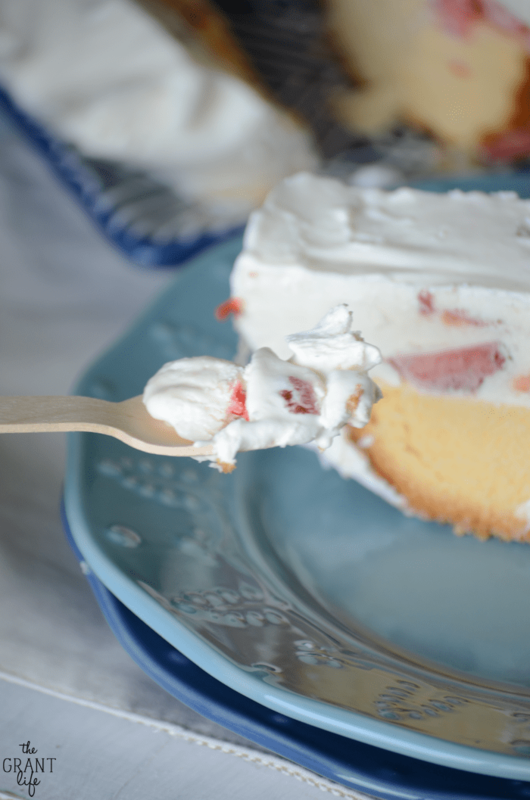 This shortcake comes together so easy. 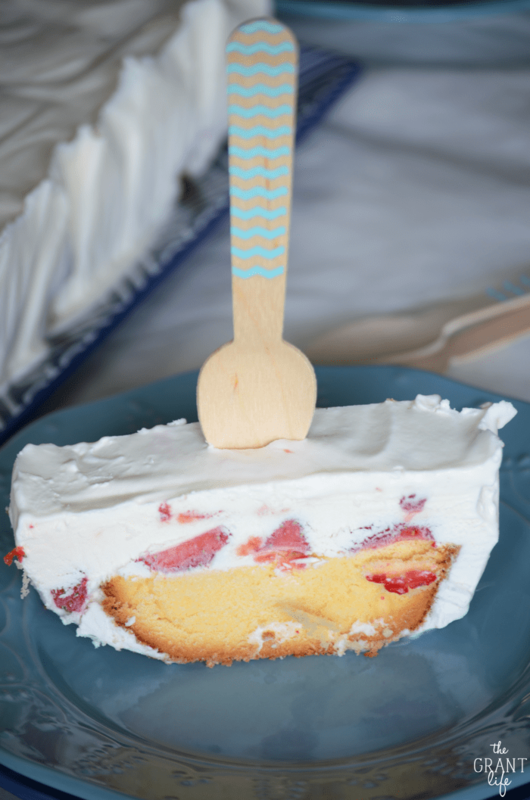 You can use homemade shortcake for the bottom or you can buy one from the store. I used a Sara Lee one for this cake. 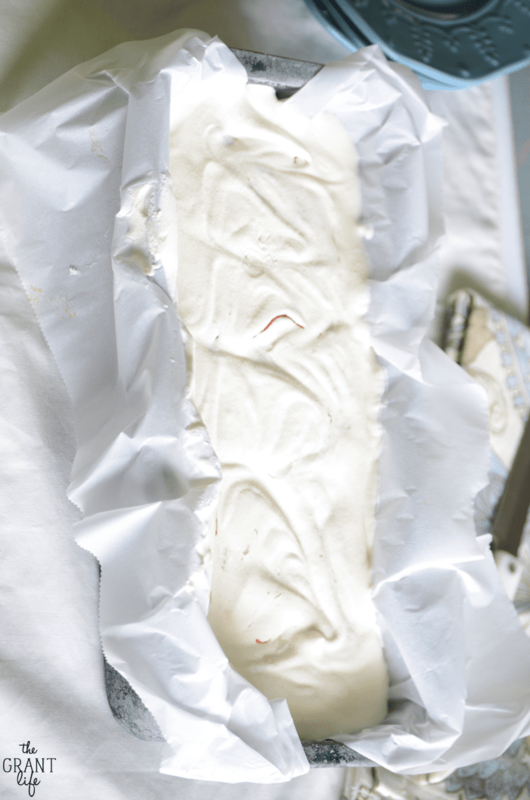 Add a layer of strawberries and super easy homemade ice cream and done. Well, after it freezes – done. 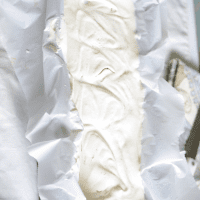 Place parchment paper in a loaf pan and set aside. Add in the vanilla extract and sweetened condensed milk. Continue to whip for a minute, until combined. Put the pound cake at the bottom of the pan. Pour the cream and milk mixture over top. Drop the jam over top and swirl around. And be sure to sign up our recipe updates! 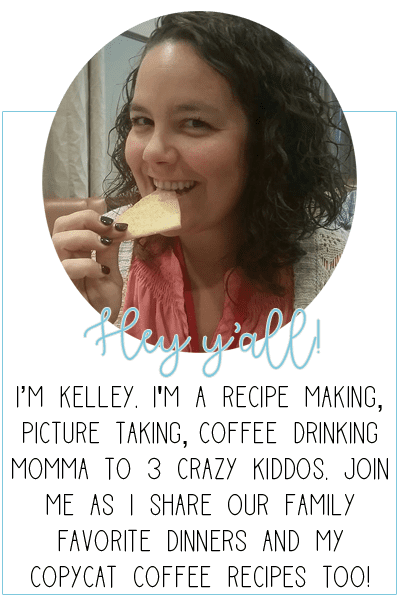 I’ll send new recipes right to your inbox!